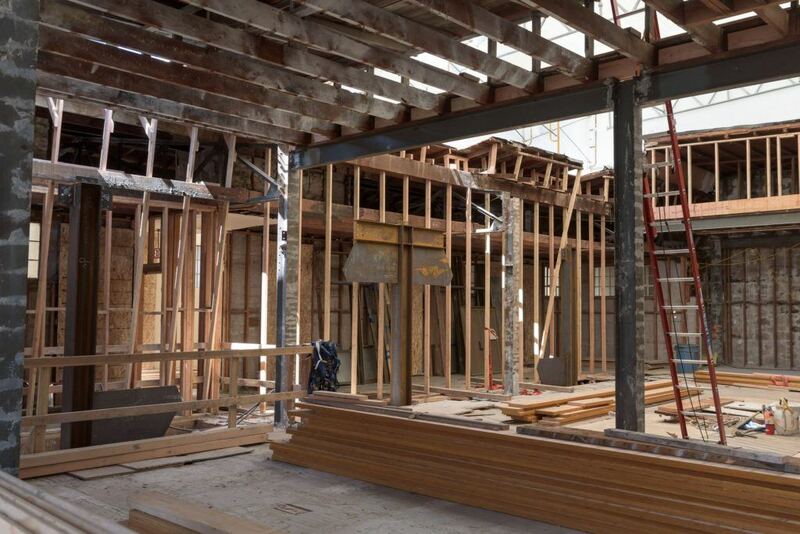 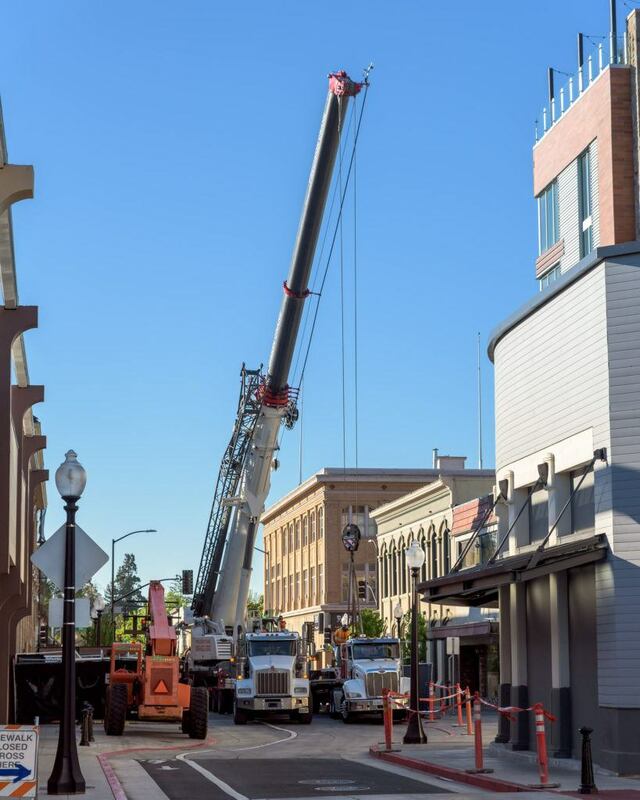 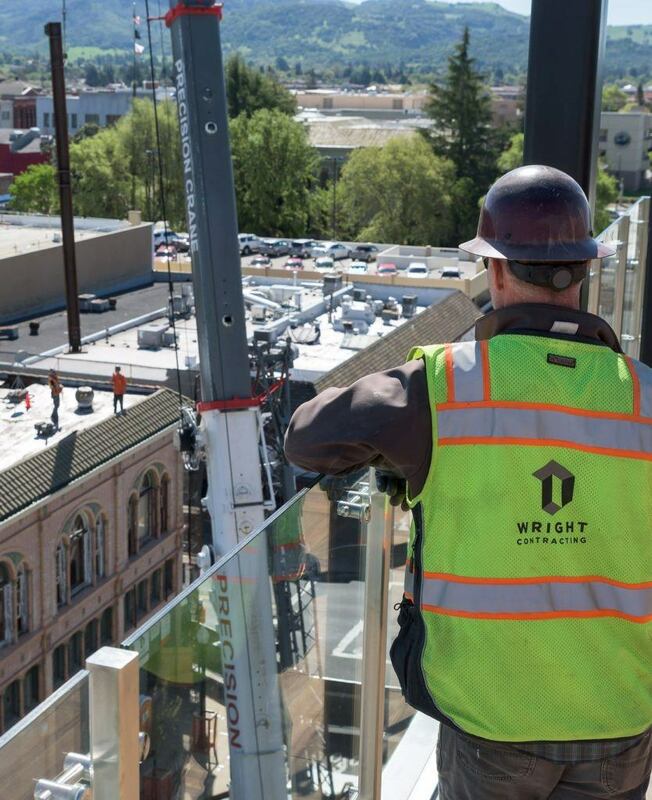 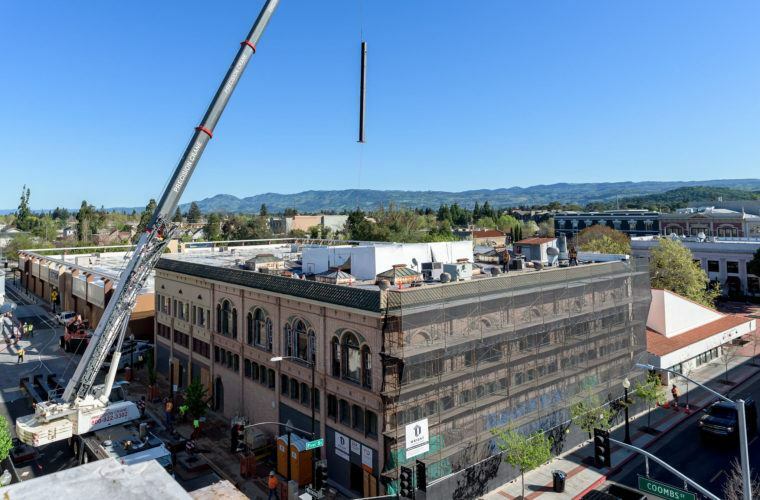 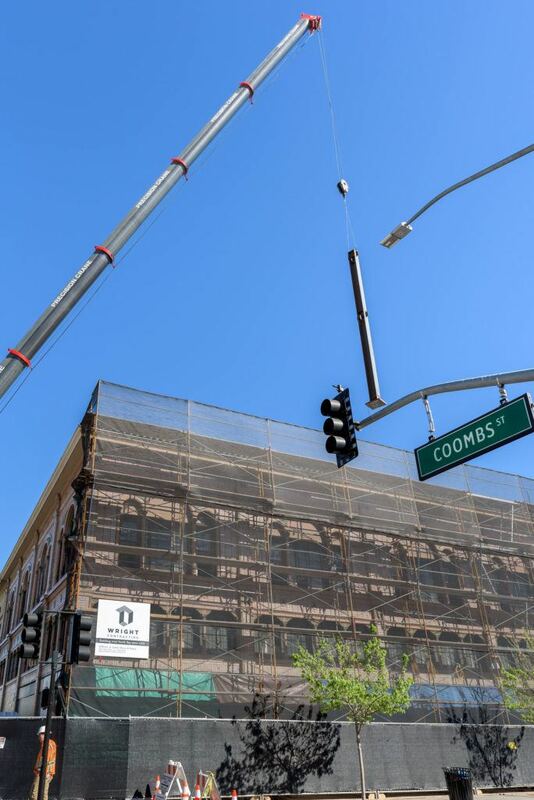 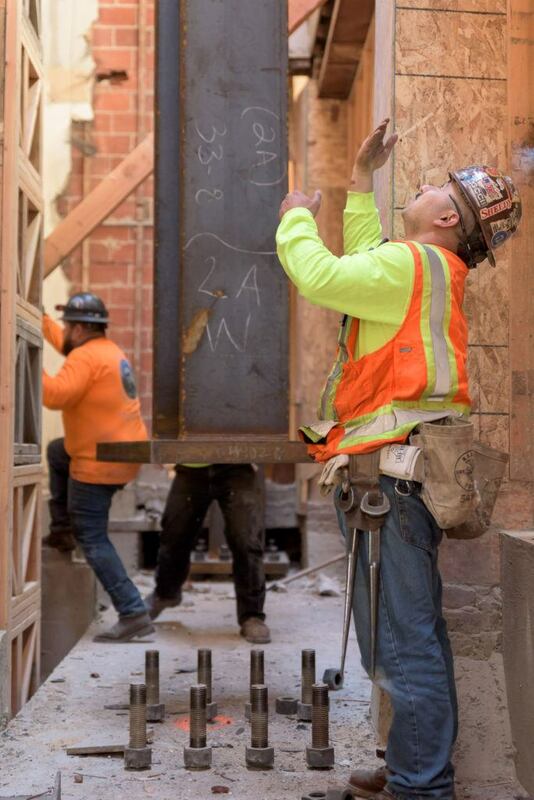 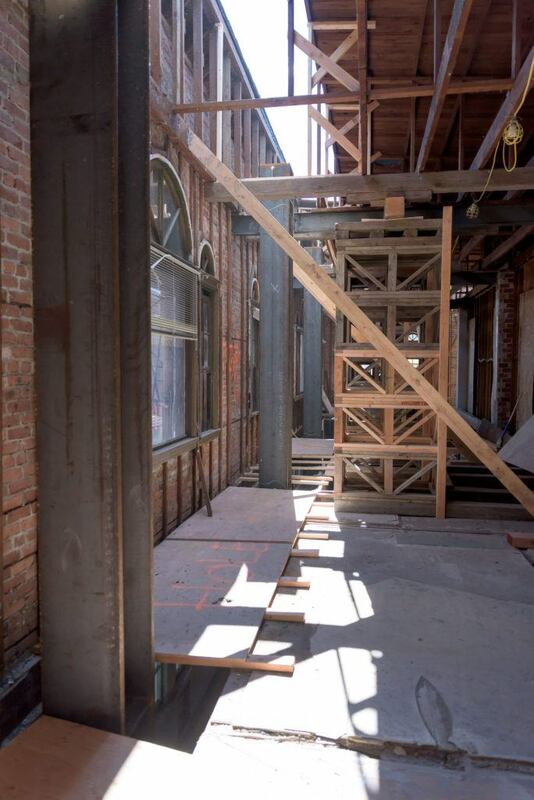 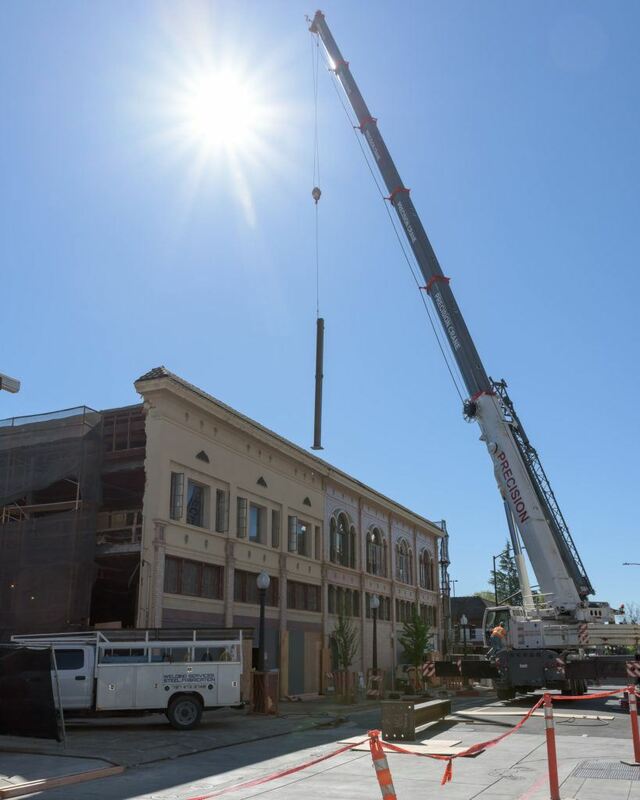 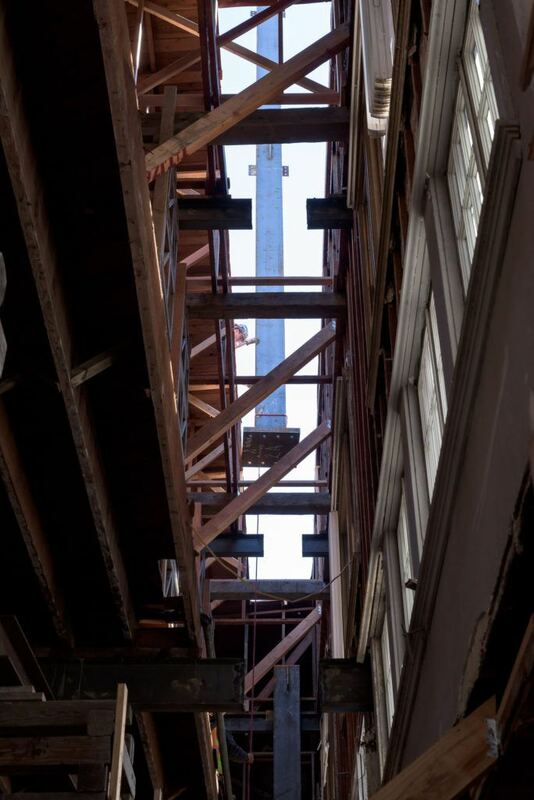 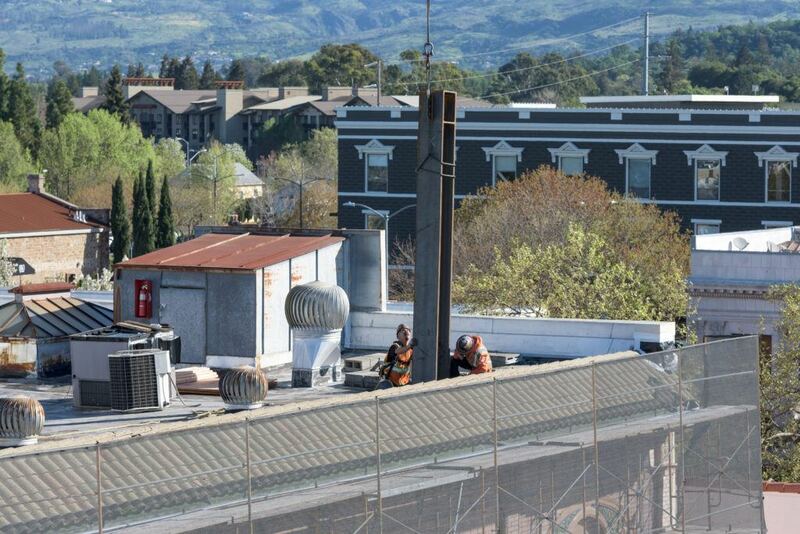 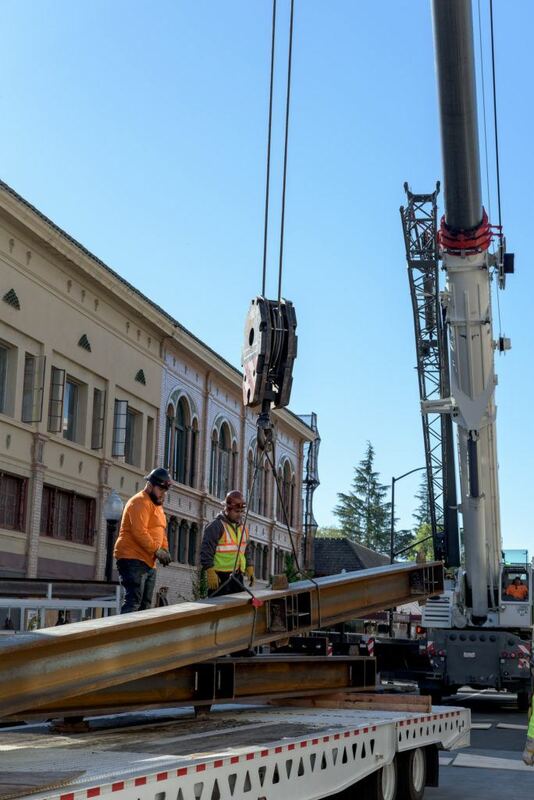 On Tuesday, April 9th, a new structural steel moment frame was installed as part of a seismic retrofit for the historic Gordon Building in Napa. 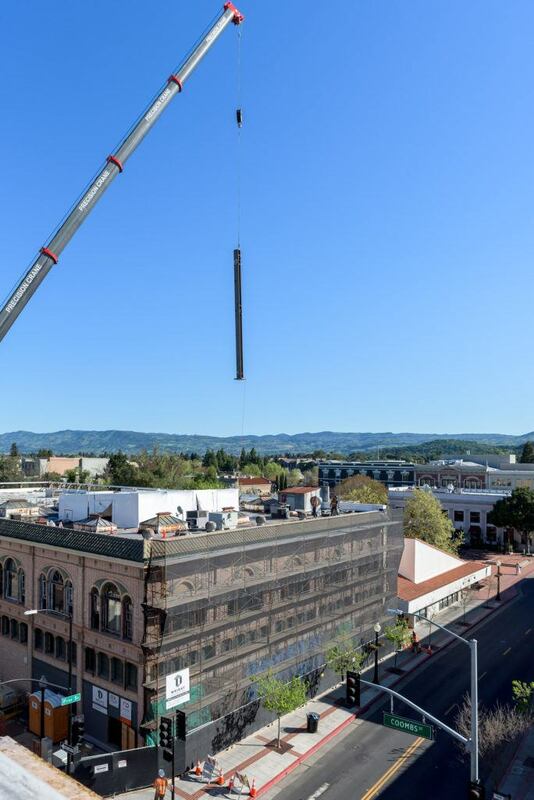 The crane lift took place over a span of two days during which time fifteen of the structural steel members that will make up the new moment frame were set. 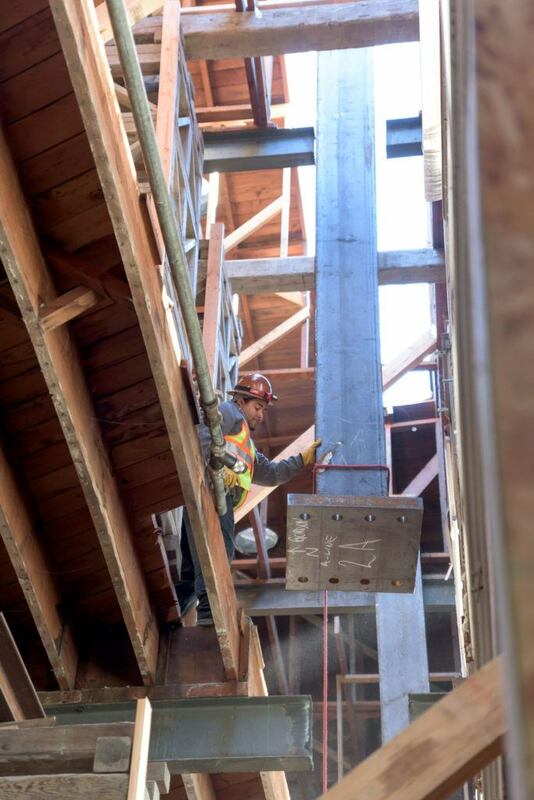 Over the next couple weeks, smaller sections of steel throughout the building will be installed.